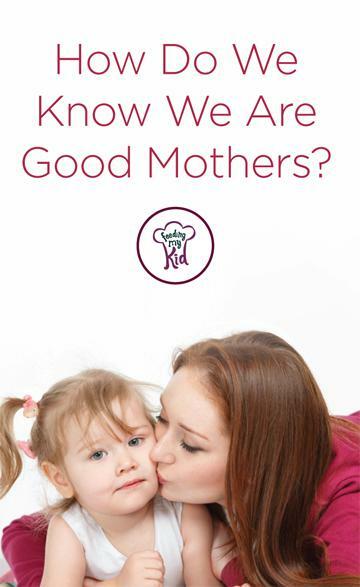 How Do We Know We Are Good Mothers? Mom Advice. 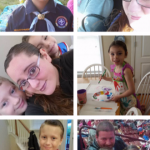 Home Articles How Do We Know We Are Good Mothers? Parenting is not always the easiest task. When I first became a parent, like most parents, I had no idea what I was doing. Of course, there are always the wanted and unwanted advice from everyone around you. So how do we become mothers? How do we choose what to do and what not to do with our children? What it really comes down to is reasoning, intuition and simply love. We, as mothers and parents, have the responsibility and the privilege to be raising these little people who will be leading society one day. The Question: How To Be A Good Mother? So here is the question we should really be asking ourselves: what do we want to instill in our children? Of course, this is a very in depth question and it will change over time. As we teach our children one thing, we will then move on to another. For example, when our children are infants, we teach them how to depend on us. From the very beginning, we instill that trust and bond between them and us. Then comes the toddler age where we teach them how to be independent but that we will always be there. Then preschool where we might start to teach them about honesty, health, sharing, and how to get along with other children by working together. Of course, along the way we have help from teachers and the world around us. Think of it this way, we have always been told that children are like sponges. Whatever they see, hear, and experience will stick to them like glue. Some are more impressionable than others but the great thing about this is that we have control over most of their first experiences. We shape the minds of tomorrow. And it is true. So, whether your world is chaotic, or you wonder if you are doing a good job, or if your child is retaining anything you say; remember that parenting is not an easy job. It was never meant to be an easy job. However, you are doing a great job and as long as those little faces are smiling and your kids are healthy, and know that they are loved, that is all you can ask of yourself. Mothering is always a new learning experience. We grow and learn with our children and that is how we become the mothers that we are today. For us, motherhood is an experience. And for those of you with daughters, or those who will one day have daughters-in-laws, this learning experience will one day also turn into a teaching one. It is a cycle that we repeat — giving traits and leaving marks. Previous articleMake Homemade Ice Cream Using Fruit or Non-Dairy Alternatives. Perfect for Food Allergies!